On August 9th, WikiLeaks founder Julian Assange gave a sensational interview to Dutch TV. He discussed the wide-scale investigation of the Clinton family’s financial activities and ties as well as the election fraud linked to Hillary. 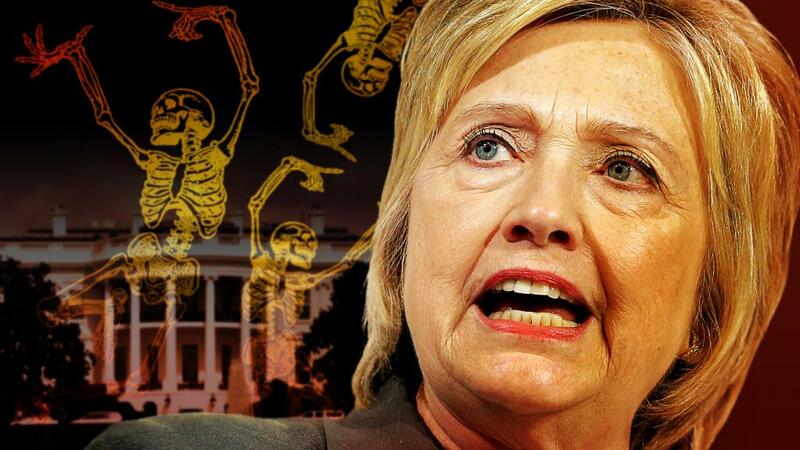 According to Assange, the source of the leak wasn’t Russian hackers, but the US Democratic Party (DP) itself, since Hillary is ready to do everything possible to reach her goal, including committing murder. American public opinion was recently directed towards desperately searching for firm evidence that the Russians had hacked the DP’s servers and revealed the truth about how Bernie Sanders had been cheated during the primaries to make way for Hillary. The tens of thousands of messages published on the WikiLeaks website speak for themselves. It was easy to accuse elusive Russian hackers acting against the United States of the scandal so that the investigation of this case could be safely put aside while referring to an evil totalitarian Russia refusing to cooperate. However, during his interview, Assange clearly hinted that this was an internal leak whose source was a member of the Democrats, Seth Rich, who was killed on July 10th after being shot in the back right on the streets of Washington during a telephone conversation. Police said that the incident was a robbery, but his phone, watch and wallet were left behind even though he was severely beaten and probably searched. Surprisingly, investigators have found no witnesses or clues even though the murder occurred in one of the most respectable districts of the city. Rich’s parents had to hold a press conference and call on everyone who had information to contact them directly. WikiLeaks, in turn, offered $20,000 to anyone who could bring forth any information about Rich's murder. Assange said that WikiLeaks’ other sources are extremely concerned about the risks. “We have to understand how high the stakes are in the United States,” Assange said. But Rich’s death was not the first nor the last mysterious disappearance connected to the Clinton campaign in one way or another. For example, just three weeks after the Rich murder, a supporter of Bernie Sanders, Shawn Lucas, was found dead. Lucas was famous as the leading lawyer on the case against Clinton’s electoral fraud and “drowning out” of other candidates. Recently, a video went viral on the internet depicting Lucas filing Sanders’ lawsuit against the Democratic Party and accusing it of falsifying the primaries. On August 2nd, Lucas’ dead body was found in the bathroom of his house with no signs of violence. Despite the fact that more than a week has passed, the cause of Lucas’ death has not been announced and he had no health issues. His relatives have announced that they are trying to raise funds for an independent investigation now that the case on fraud in the primaries is likely to be closed. On August 1st, the day before Lucas’ death, the best-selling author investigating Bill and Hillary Clinton was shot near his house. For many years, Victor Thorn was the biographer of this political couple who revealed many of their secrets. Earlier this year, Thorn published another book called Crowning Clinton: Why Hillary Shouldn't Be In the White House which shortly before his death had been released in foreign language translations. Did Thorn find any new facts during his regular study? This is unknown. Police have qualified his death as a suicide, but this doesn’t fit the reputation of this purposeful author who had reached the summits of success during the presidential elections. The former chairman of the UN General Assembly, John Ashe, was implicated in a corruption scandal. He was accused of taking bribes from Chinese investors and on June 27th he had to testify in court on his cooperation with the Chinese businessmen Ng Lap Seng. Seng was not too long ago involved in the “Chinagate” scandal surrounding dubious sponsorship for Bill Clinton’s presidential campaign and the infusion of illegal funds into the Democratic National Committee. Taking into account that Seng had close ties to the Clintons, most believe that Ashe could have revealed the shady schemes behind Hillary’s current campaign financing as well as the mechanisms for bribery behind the falsification of the primaries. But, unfortunately, three days before the trial, Ashe suddenly dropped a barbell on his throat while training alone at home and died. According to police, it was an accident. On July 25th, Joe Montano, the former president of the Democratic National Committee who was replaced by Debby Wasserman-Schultz, one of the key figures involved in the primaries fraud according to e-mail leaks, died. Montano was an assistant to the Democrats’ vice presidential candidate Tim Kane and was deeply involved in the party’s internal affairs. His death during the party’s convention the day after the WikiLeaks publication has led many to question the incident. But Montano’s knowledge is buried with him. The death of the 47-year-old politician was attributed to a heart attack. The deaths of a number of people well-informed on the Democrats and Hillary Clinton’s activities in such a short period give reason for experts and journalists to link them to some kind of chain. However, WikiLeaks has not been intimidated even though their sources and witnesses are worried that they could be “hunted.” In his interview, Julian Assange promised to publish new documents related to the DP, the Clinton Foundation, and Hillary’s presidential campaign.